It all began with Beth Richards, founder and creative director of Kinnon. She travelled often and discovered along the way that there was a niche and need for staple leather goods in a traveller’s life. Believing in nothing but quality without compromising function to aesthetics were the main things on her checklist and the hunt for these items proved to be only more and more disappointing. Took matters into her own hands and born from dust was Kinnon. Beth and the team at Kinnon have listened and worked hard to bring us this exceptionally curated collection of luxury goods for work and travel with a dash of special. Designed in Melbourne and crafted in nappa leather, Kinnon accessories come in range of colours and designs not for the ordinary. Sweet surprises and small details are part of the Kinnon designs, which sets aside their products and makes them unique. 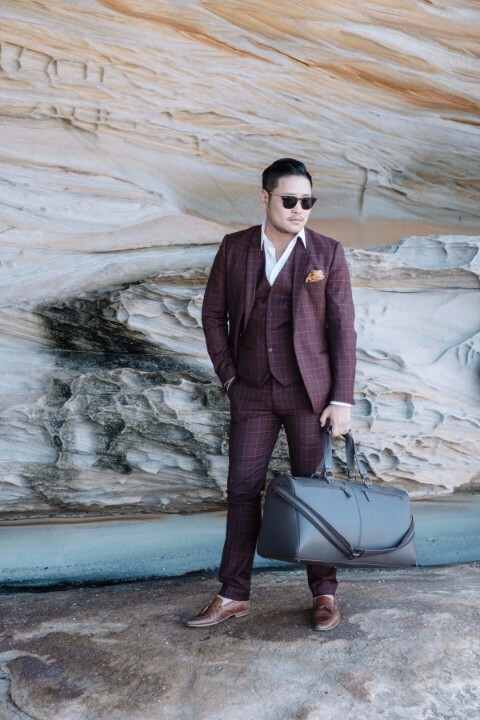 Some notable items include The Oxley – an overnight bag cleverly designed with features that make travelling a breeze. The durable brown leather makes the bag easy to care for and will need a spray every now and then for a touch-up. This bag has become an essential as it takes away the fuss of how to pack some of the bulkiest of things. There is a separate zipped shoe compartment at the bottom of the bag, which makes changing and packing shoes for those long flights less daunting. The whole bag is lined with durable cotton suede lining and has a two-year guarantee. The bag has been designed to fit the maximum allowed size for international carry on, adjustable strap and large side pockets for items needed for easy access. Pair this up with one of our favourite accessories from Kinnon, The Burton – travel wallet. The slimline travel wallet features plenty of pockets to organise passports, documents and pen with space for four cards. 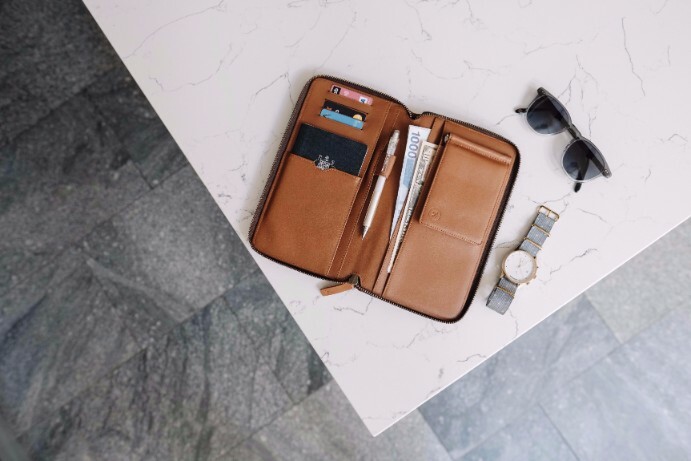 The unique design comes with a removable wallet to transition on arrival, complete with an additional five card spaces, clear window pocket and a money clip. The zippered exterior design keeps contents secure. Travelling in style has never been so easy. to one lucky member of the Dappertude community. Thanks for the chance. These are some awesome items! Thanks for the chance, this is an amazing bag! Thanks for the chance, this would be the perfect Christmas gift for my cousin who lost everything except his car and his dog and what he had on him in a house fire. Fingers crossed, good luck everyone and Merry Christmas! Paul Heazlewood. Good luck ladies and gentlemen. Such a good prize. Thanks. Christine B. This set would be so versatile for travelling anywhere! Best of luck to us all! This is perfect for my sons next holiday. Merry Christmas and Hannakah Dappertude team. exceptionally tasteful prize. Thanks for the chance. It is truly a sophisticated and practical bag and wallet for all mens. I am definitely enjoying it . These Kinnon men’s products are sensational. Would love to have them by my side. Liked, shared and utterly adored! <3 Thanks heaps for offering this prize, fingers crossed! I’ve got my fingers crossed!! 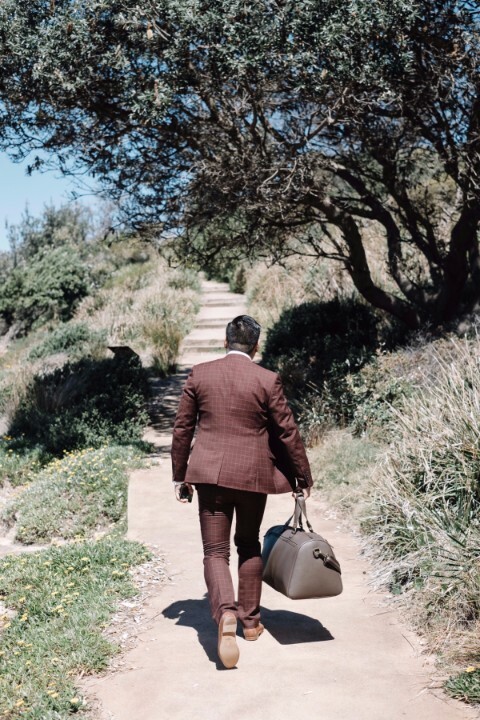 It’s tough to find a good work bag that goes with a suit, but you can also usually casually. I like the Oxley, although it’s an overnight bag, think it could do the job! Wendy Hatton. For the man in my life! Love the colour! Danielle Ramsay. This just has CLASS written all over it. rob krueger. Thanks for the chance to win, looks awesome! I would love to have these 2 cool items. Love this bag! My husband is going overseas next year wow what a great prize! Dappertude: Turning boys into gentlemen. Love a well dressed man, and Kinnon brings that aesthetic. I know what i’m hubby’s getting for Christmas! Lovely gift for the discerning man! Wow this is a beautiful prize. I would love to win for my husband. When we travel he loses all style and instead goes into dad mode, fanny pack and all, this prize could save his life!! Merry Christmas and a very happy New Year’s. I need all the style help I can get. I want to be a Dapper Dude with serious Dappertude! Winning this would be a great way to start 2018! Thank you. Great prizes . These are nothing short of stunning – would love to win! Thanks and Happy Holidays. Great prize. Thanks for the chance to enter. Looks great. Happy New year! How beautiful is Kinnon’s product line! I have been a fan for sometime now. Loving the way in which your styled the bag – how cool is the separate shoe hold! Very clever indeed. I love that these items are all Australian made. They really fill a niche a the travel goods market. Very stylish! I would use these a lot on my frequent travels. Great prizes, thanks for the chance. Jennifer Bush here… Lovely gear! Thanks for the chance, Hubby would love this! Miriam Priebbenow – entered thanks. Awesome Items and Happy New Years. Fantastic and looks so cool. Thanks for the opportunity! My boyfriend would love these! Donna Bennett. Thank you so much for the chance! As a Burton, this prize really has my name on it! Man, these accessories look rad. Fingers crossed! Perfect to stash away for the other half’s birthday! I could really use these items for my daily commute. Thanks for offering such a great prize Dappertude. Happy New Year! Thank you for the opportunity to win this amazing prize. Would love to gift it to my son who is heading to New York in February! You’re products sound absolutely beautiful! I really hope I win! Bianca Wiltshire. Pick me, pick me. Lisa S. Geat prize! Thanks!! Donna Bennett. Thanks so much for the chance, very much appreciated!